Supporting Vibrant Neighborhoods: How Do Museums Address Displacement? By Jennifer A. Scott, Director and Chief Curator at Jane Addams Hull-House Museum in Chicago where she also serves as faculty at the University of Illinois at Chicago in the graduate program of Museum and Exhibition Studies. She is one of the co-editors of Museums and Civic Discourse. Three and half years ago, I moved from rapidly gentrifying Brooklyn, New York to Chicago, the “City of Neighborhoods.” When I left, the predominantly black neighborhood that I had made home for 25 years had become unrecognizable with luxury condominium developments, rents that had tripled, high-end cafes, restaurants, a new controversial stadium, diminishing diversity, increased wealth disparity and many more strangers. I watched with heartbreak as all that I loved about the neighborhood dissipated before me; as neighborhood haunts that had existed there for generations shut down one by one; as friends and loved ones in spite of the coalition building and activist efforts by residents, became priced out, bought out, disenchanted and left the area. All the while I had been working for a decade at an inspirational historic site that marked a forgotten neighborhood of a free black community in Brooklyn founded almost 30 years before the Civil War. As our mission, the museum focused on recovering these important stories and bringing this history back to life. We exposed the stories of struggle, community-building and self-determination, making connections to the present. The Brooklyn experience I described is happening throughout America, including midwestern cities such as Chicago and Detroit, and particularly in older black, brown and ethnic neighborhoods. Amid this, important questions must now be raised and addressed: Do museums exist only to mark or recall places we’ve lost? To memorialize dead neighborhoods? Or worse, do they help facilitate the gentrification that helps neighborhoods disappear? Or can museums also be active agents in addressing contemporary forces of change? Can we enter into these conversations of displacement, disinvestment and disparity effectively? Now in Chicago, I’m at Jane Addams Hull-House Museum, once a significant neighborhood force that helped to transform the lives of immigrants, women and the poor. Courageous women led by Jane Addams and other social reformers and radicals moved to the Near West Side of Chicago in 1889 to found the Hull-House Social Settlement. Together, they catalyzed a movement across major cities in the Midwest and Northeast. Reformers immersed themselves in local communities establishing settlement houses to better understand and impact what was happening in our cities and to determine how to create social changes that would improve people’s lives. Today, the Museum activates this history and connects it to contemporary social justice issues through research, exhibitions, public programming and education initiatives. 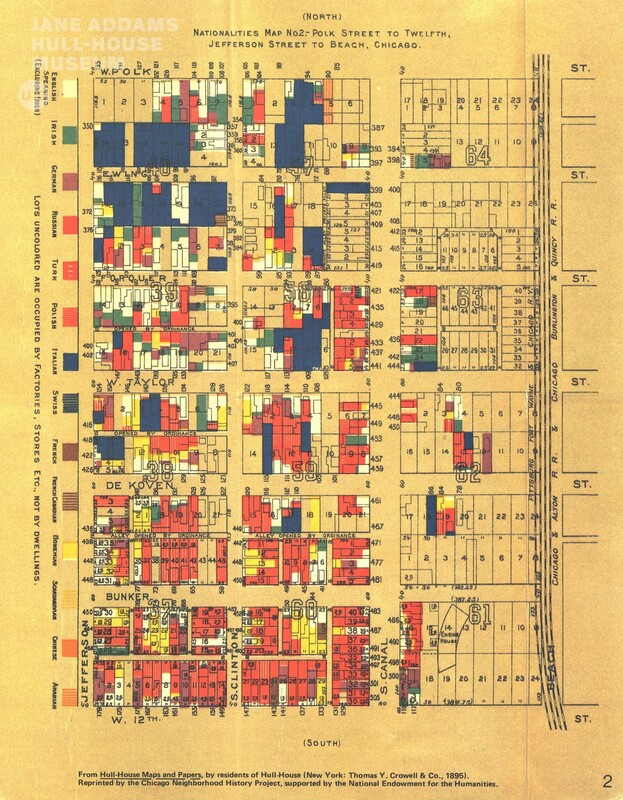 Immediately after arriving at Hull-House, I learned that the original 13-building settlement that had regularly received up to 10,000 visitors a week for various social services, extensive arts programs and community organizing efforts was almost completely demolished in the early 1960s to make way for the downtown expansion of the Chicago campus of the University of Illinois. Neighborhood residents fought the demolition for two years through public protests and through the courts but lost their case to “eminent domain,” and the campus was built. Many communities in the area, who are still living, remember this time of being displaced through the university expansion. The original Settlement lost 11 buildings, and the two remaining were converted into the present-day museum as part of the University of Illinois. Fifty-five years later, we confront our own history of gentrification on Chicago’s Near West Side. My first year at Hull-House we created a project that would place neighborhood history in conversation with the neighborhood changes happening throughout West Side communities and interrogate our own history in this process of change. Funded by a National Endowment for the Humanities grant, Hull-House launched in 2016, Making the West Side: Community Conversations on Neighborhood Change. 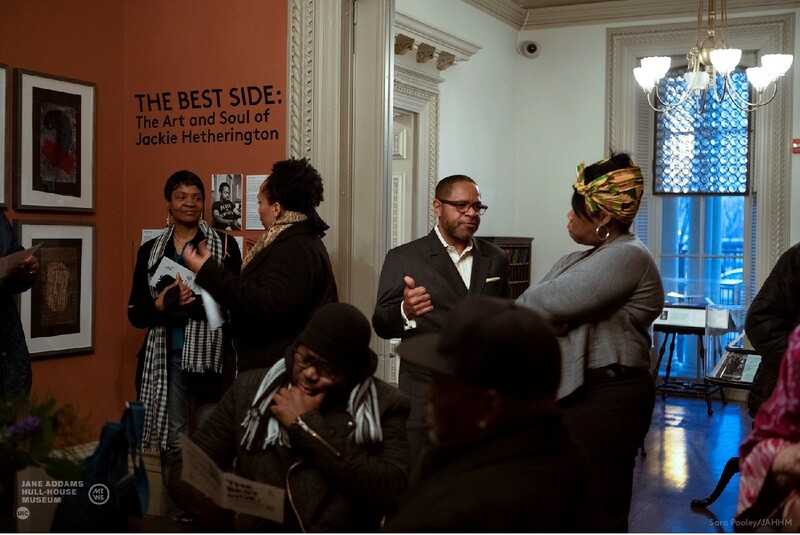 We partnered with other museums, cultural centers and social service agencies that were rooted in historical and contemporary neighborhoods and hosted community conversations at the museum and at partner sites that addressed issues of displacement, disinvestment, segregation, the history of housing policies and neighborhood revitalization efforts. The project brought together scholars, activists, artists, youth, philanthropists, social service professionals, public health advocates, educators, and more to discuss timely issues and interventions for understanding and reclaiming our neighborhoods. We led oral history workshops and hosted storytelling sessions. The discussions continue almost monthly at Hull-House, and the project has expanded into exhibitions featuring West Side communities and pressing social issues. The Museum is hosting two exhibitions on the West Side concurrently through July 29: Claiming Space: Creative Grounds and Freedom Summer School is a collaborative exhibition with artists, educators and students that explores school closures on Chicago’s West Side amidst the backdrop of depopulation and divestment. In 2013, the City of Chicago closed and consolidated 47 Chicago Public Schools (CPS). Since last Fall, Hull-House has hosted several standing-room-only discussions on race, education and equity in Chicago, including two youth–led dialogues. This is timely, because once again Chicago Public Schools are facing the threat of school closures and more displacement in 2018. At Hull-House, we are committed to thinking through change with our neighbors and supporting community organizing efforts. We encourage other museums and cultural centers to ask the question with us, how can museums become better neighbors? How can we move beyond memorializing the past so that we engage present-day issues? How can we best interact and support living communities and become active agents in the social changes that lead to more equitable and just communities? To hear more about Hull-House’s neighborhood focus and the ways in which museums engage issues of displacement, join us at the AMM conference in Chicago for our session, “A Highway Runs Through It: Stories of Displacement” on July 21 at 11:15am. Also, join us for opening night of the conference on July 18 at 5:30pm starting at Jane Addams Hull-House Museum for the “Neighborhood Excursion: West Side Chicago”. There will be food, drinks, music and you can visit the museum to check out our two West Side exhibitions.